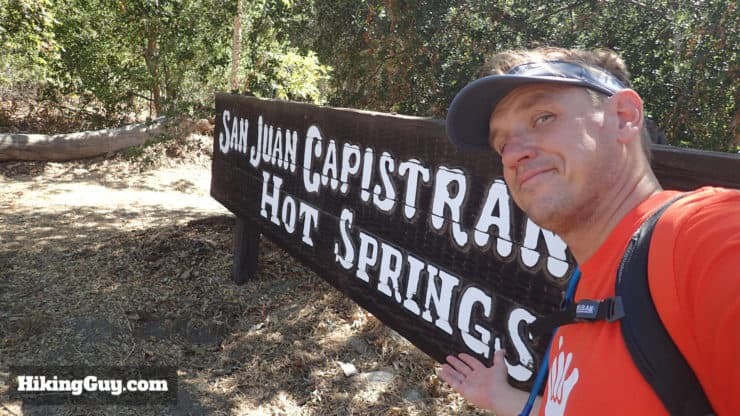 Can You Go in the San Juan Hot Springs? 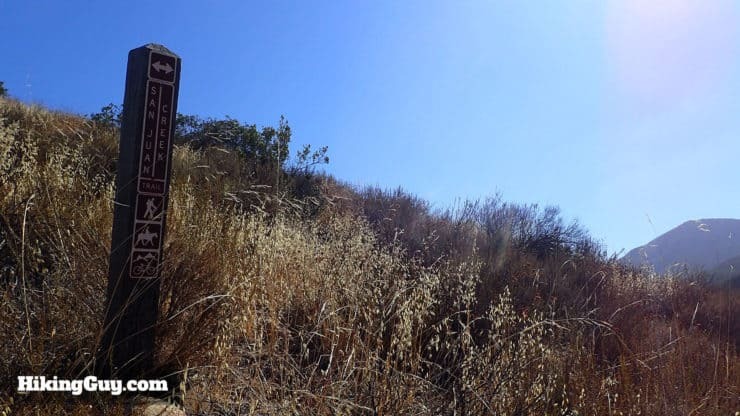 This is a a fun hike to San Juan Hot Springs, which is located in Caspers Wilderness Park, a lightly-visited, 8,000 acre, protected wilderness preserve in the foothills of the Santa Ana Mountains. 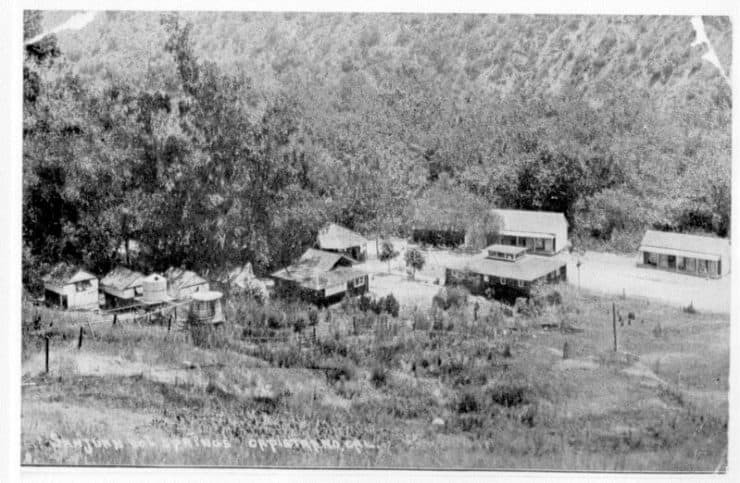 The San Juan Hot Springs were first opened in the late 1800s as a full blown resort, complete with cabins, soaking tubs, and pools. Over the years they’ve closed and opened again, with the latest version being closed down in 1992. 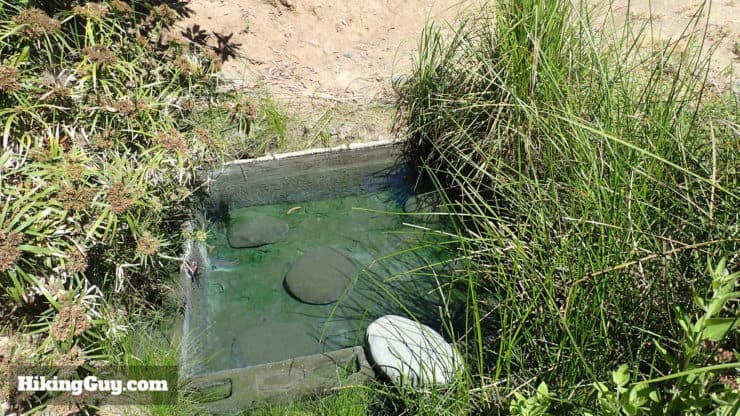 Today you can hike to San Juan Hot Springs, but whether you can go in them is up for debate (see the article for more). 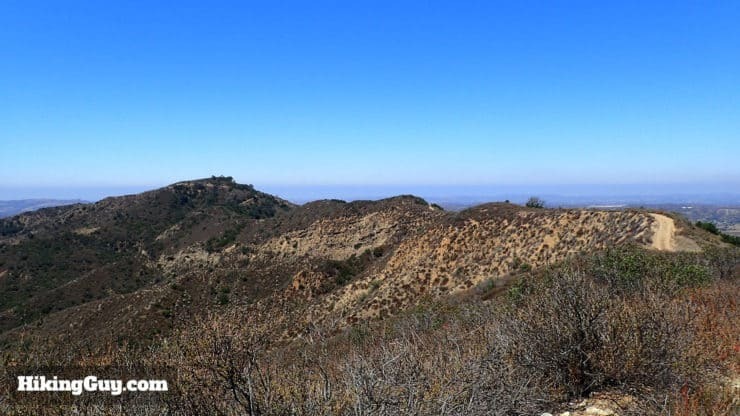 This hike to the hot springs can be done as an 10.5 mile out-and-back trip, or you can do a longer 14 mile loop that circles through the ridges in Caspers Wilderness Park, offering incredible views. Check the park website for trail conditions. Many trails were damaged and closed with winter flooding. 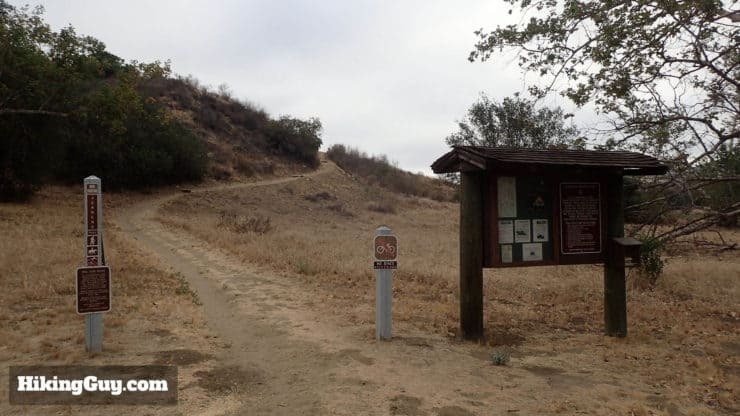 Use this as the trailhead address: 33401 Ortega Hwy, San Juan Capistrano, CA, 92675, USA. 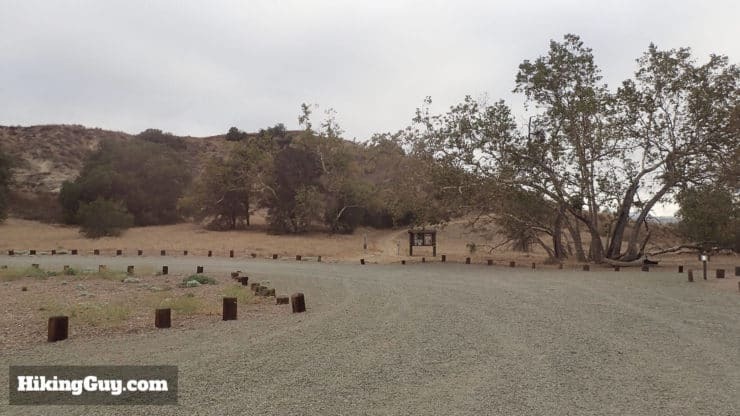 There’s a small fee to enter the park (see the park site for details). 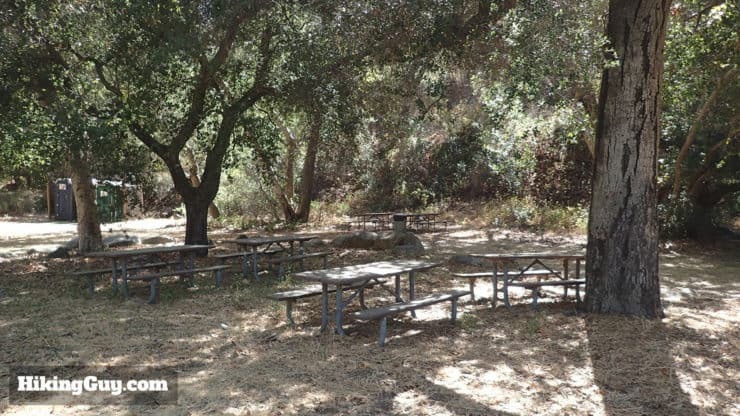 You can camp at the park if you want to extend this to an overnight excursion. You can even camp with your horse here. 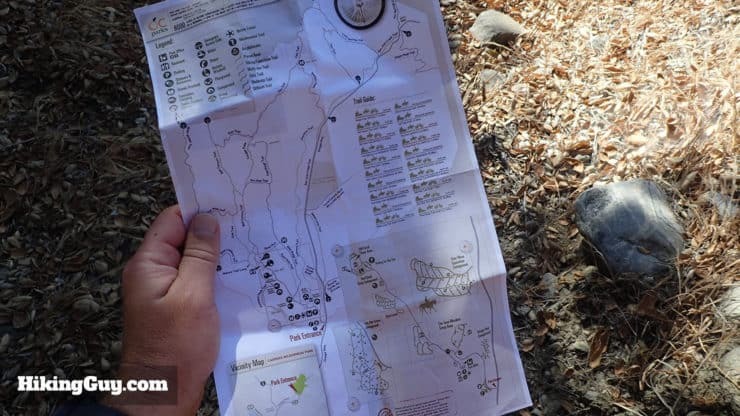 Pick up a free trail map when you enter the park. The hike starts at the end of San Juan Meadow Group Area. 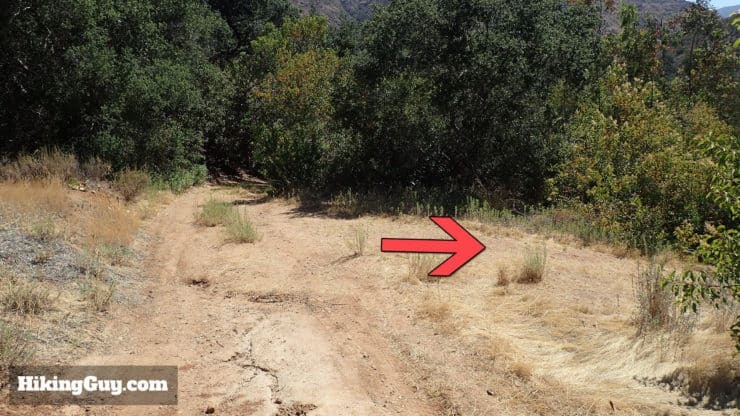 When you pull into the group area, keep driving until the end of the lot where the trail starts. When you pick up a map at the entrance, it has a zoomed section for the park entrance. This is where the San Juan Meadow Group Area is. 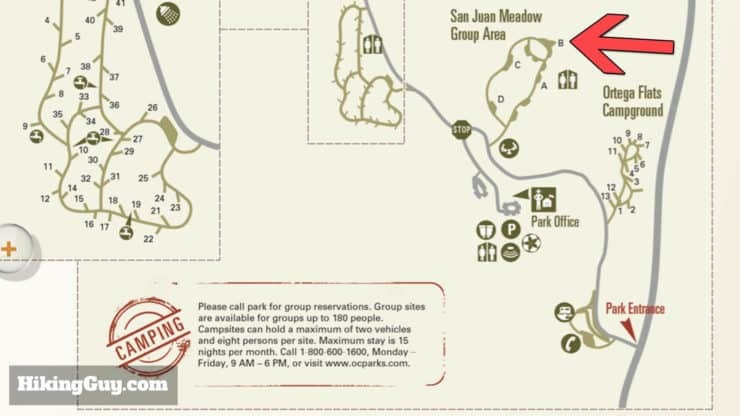 The San Juan Meadow Group Area has bathrooms and water fountains to fill your hydration pack. Bring more water than you need, it can get very hot here. Although it’s not a mountain hike, it’s still a tough one with some ups and downs, and I recommend hiking gear for it. You could get away with fitness clothes in a pinch. 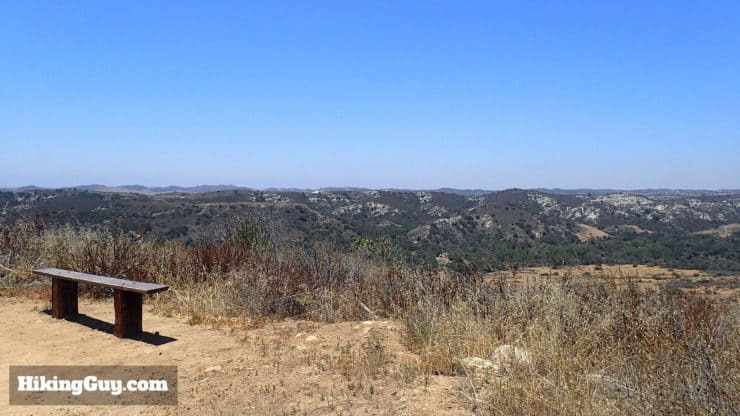 Caspers Wilderness Park is I often see more wildlife than people here (I didn’t see any on the day I did this trip report). 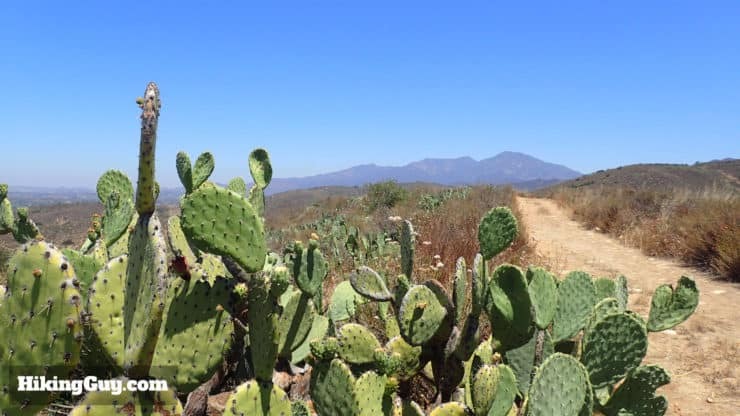 I’ve spotted deer, coyotes, bobcats, red-tailed hawks, and rattlesnakes on the trails at Caspers. Keep your eyes open and camera ready. The hike to the hot springs is an out and back effort, but I’ve also included an option to return on the ridge above. 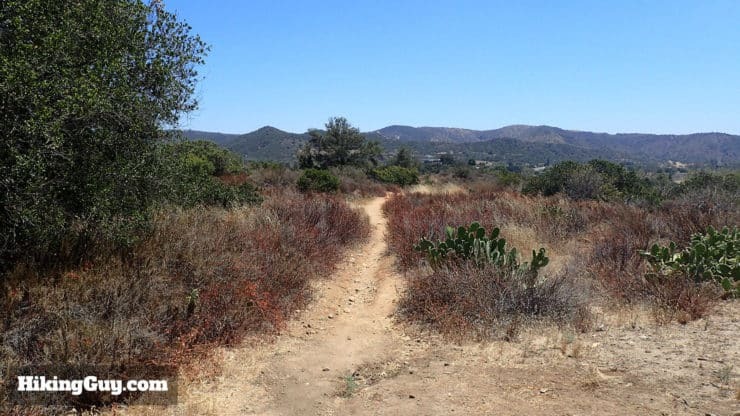 It adds some climbing and about 3 miles of distance, but it’s really beautiful, gives you a good taste of Caspers Wilderness Park, and is worth it if you have the energy. 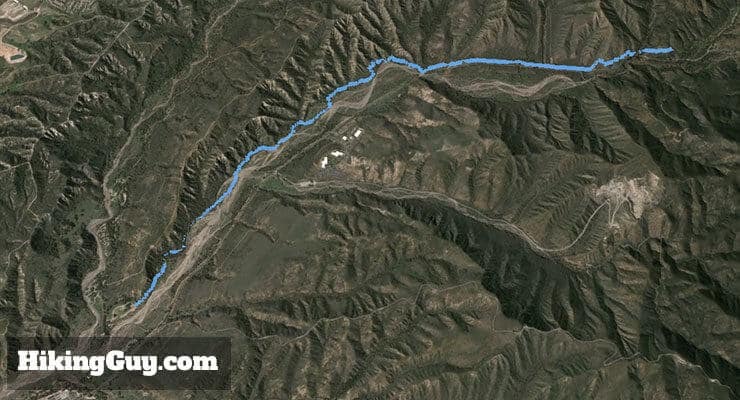 The hike follows the San Juan creek valley and Route 74 until you get to San Juan Hot Springs. The graph is deceiving, it’s not too tough and feels mainly flat with some little ups and downs toward the end. Here’s the elevation profile with the extension. It’s about 1200 feet of extra climbing but worth it. 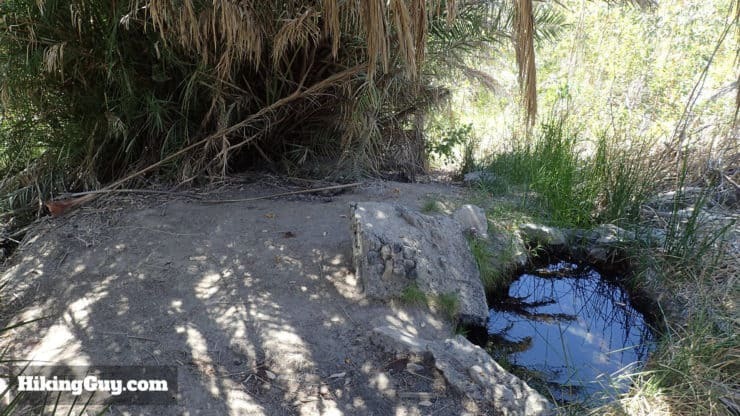 The original San Juan Hot Springs resort which was opened in the 1800s was abandoned in the 1940s. In the 1960s and 1970s is was a popular spot for locals to party and get high. The old-time comedian Red Skelton was evidently a regular along with every hippy in the area. 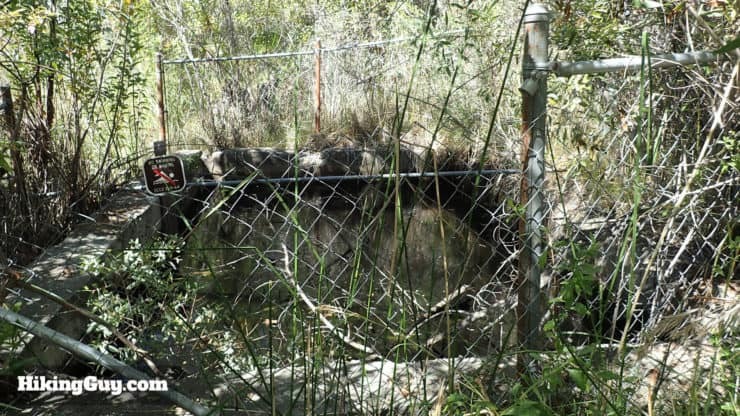 From 1980 to 1992 the springs re-opened, but have been closed and in disrepair since. 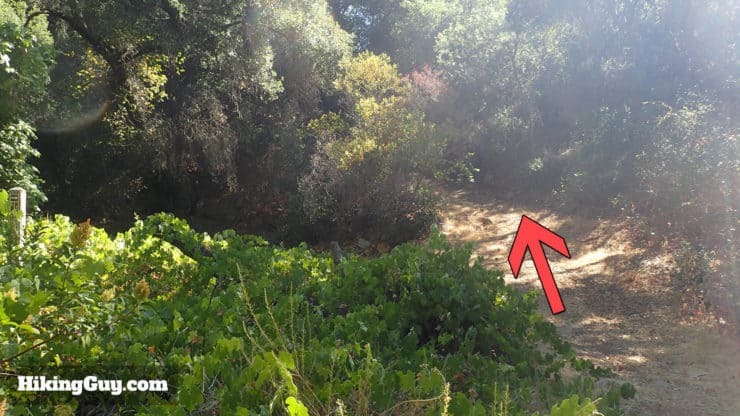 You can see the old entrance and sign (good for photos) if you hike a few minutes past the hot springs (directions below). 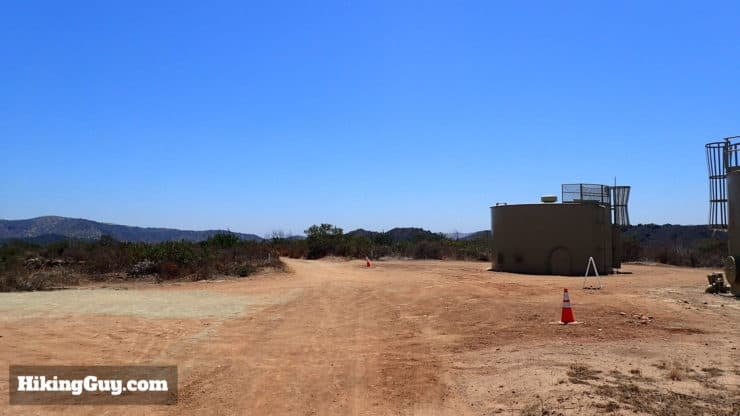 According to a local source, the water flows in at about 122F, and has a pH of 8. People remark that unlike other hot springs, San Juan Hot Springs don’t leave a bad sulfur smell on you. Today, only one pool is cool enough to go in. You are not officially allowed to go into the hot spring pools, although you are allowed to hike to and visit them. 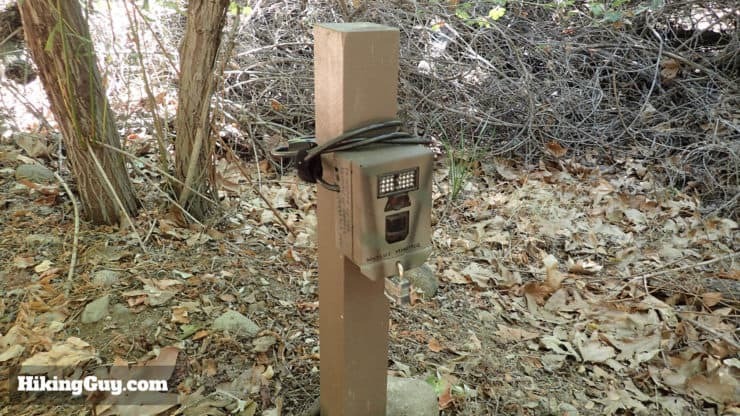 People certainly still go in illegally, but be aware that there are (hidden) video cameras used by the Caspers Wilderness Park rangers. 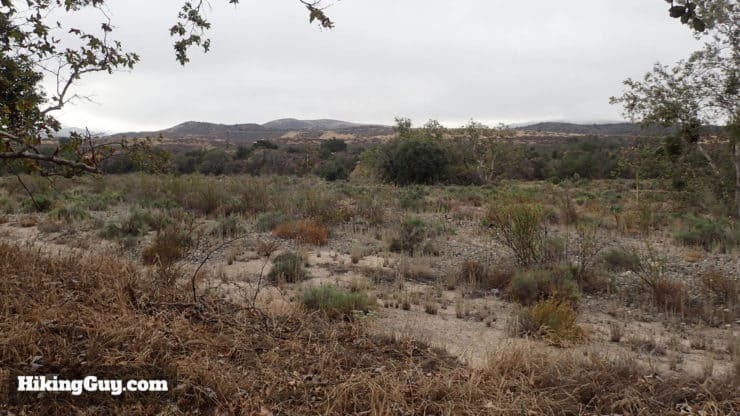 And before there were any hot spring resorts, the land here was occupied by the Juaneños, a hunting and gathering tribe of Native Americans. It’s easy to imagine how the Juaneños lived off the fertile land along San Juan Creek before the gringos came along. 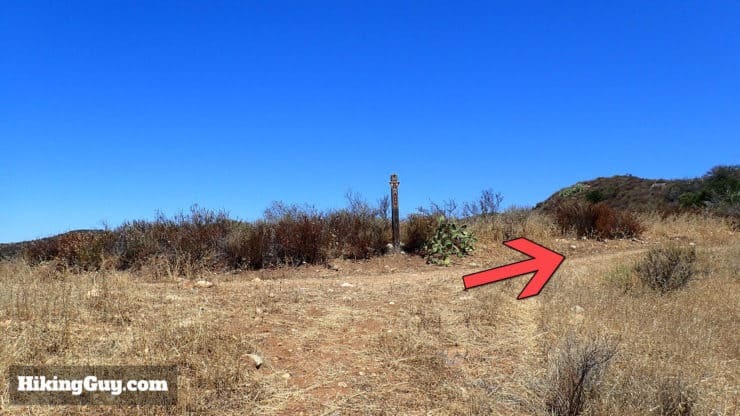 The Juaneno Trail start is at the end of the parking lot and well marked. Read any notices and start here. 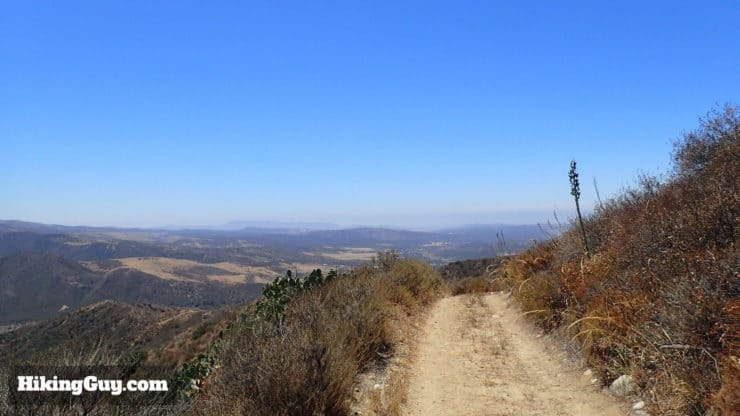 The Juaneno Trail is well defined and easy to follow. 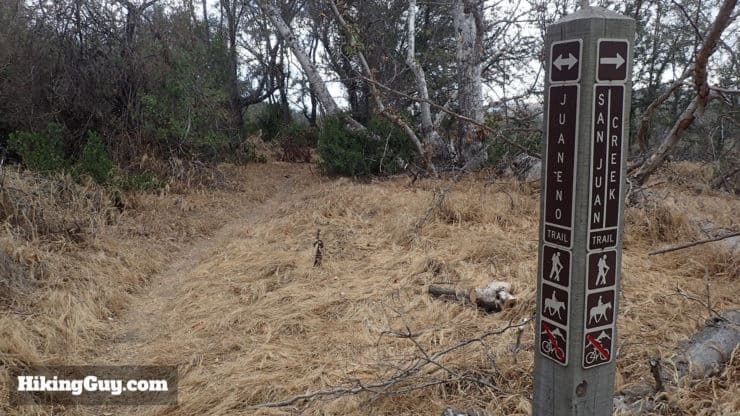 Hike straight through the first intersection and stay on the Juaneno Trail. 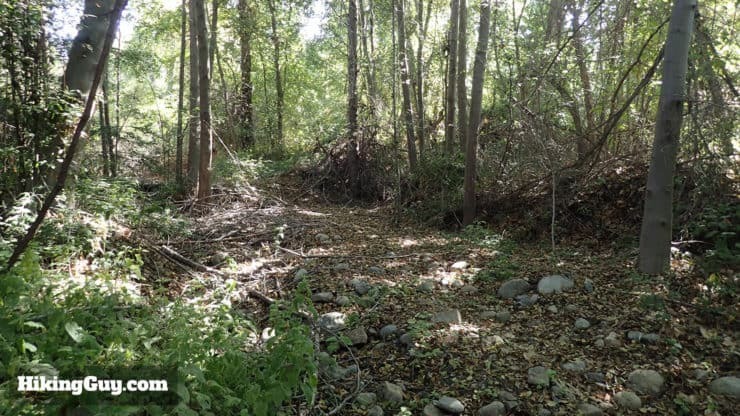 The hike goes along the banks of San Juan Creek. 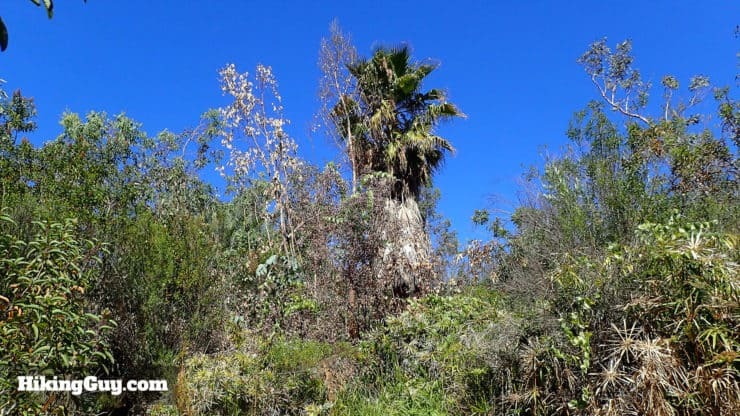 You can imagine what this looks like after it rains for a few days in the Santa Ana mountains. 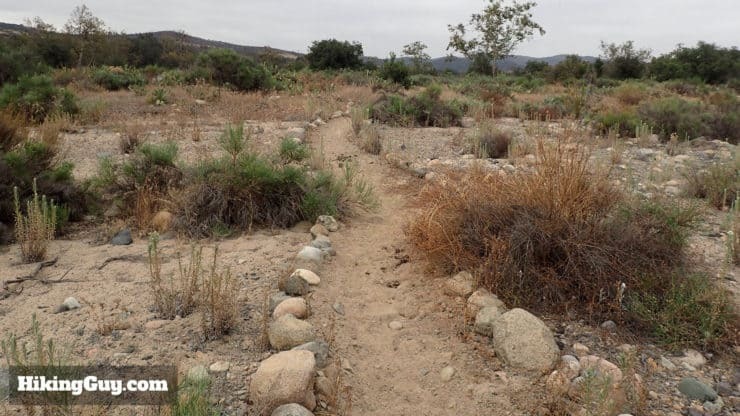 When the Juaneno Trail goes into the wash, it’s well marked with rocks. 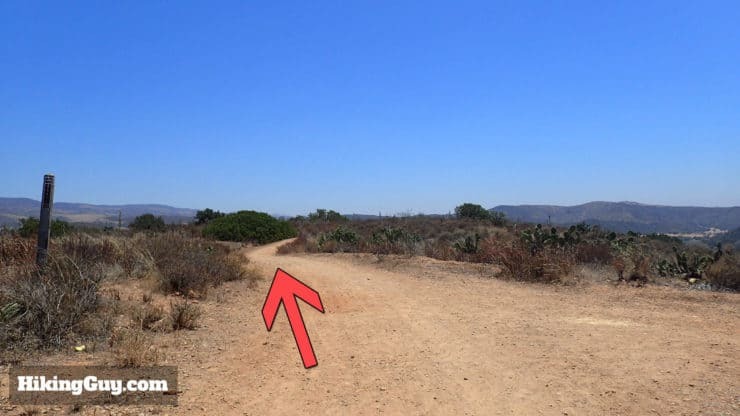 When the Juaneno Trail leaves the wash, there’s a trail marker to confirm you’re on the right path. 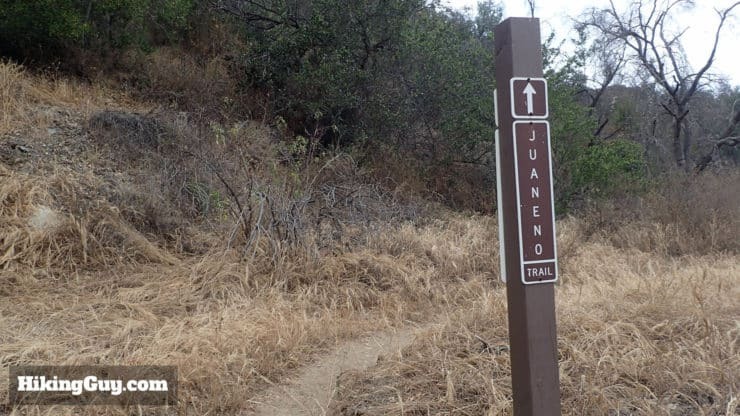 Continue straight on the Juaneno Trail. 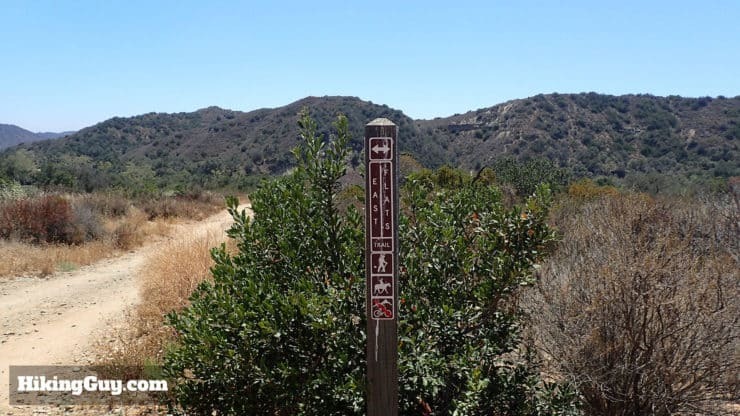 If you’re not sure where you are, the trail makers are all generally accurate on this hike, and can be cross-referenced with the park map. 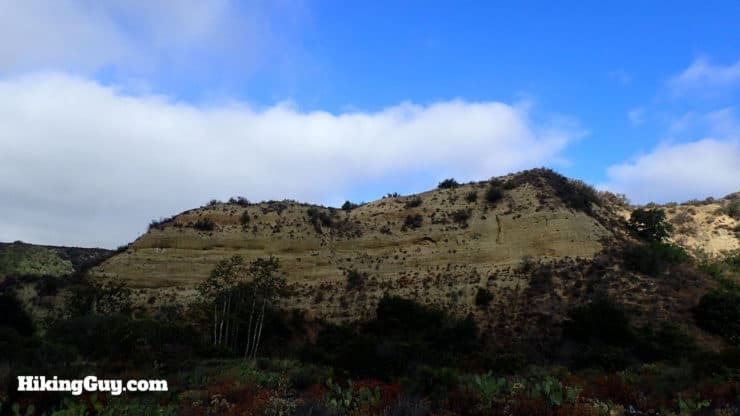 If you opt for the optional extension on the return trip, you hike along the ridge to the left. 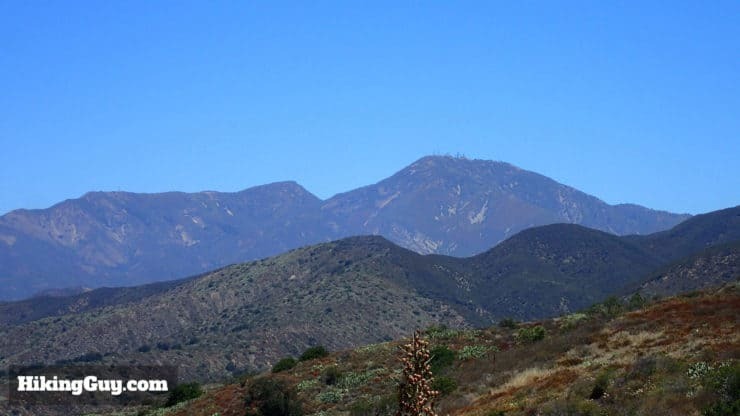 The views of Cleveland National Forest come into view as you gently climb up the valley. 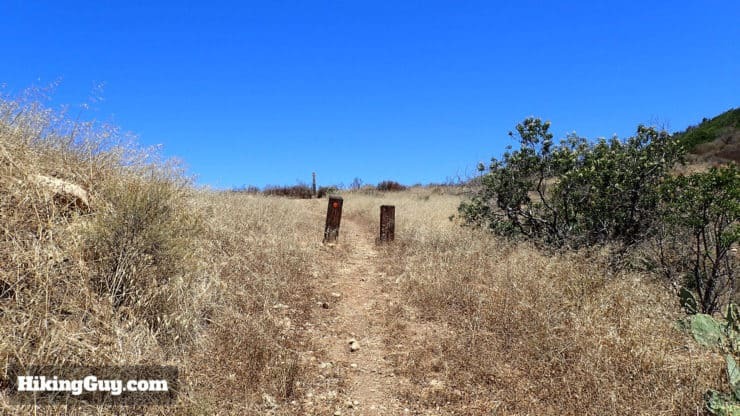 A little after 3 miles, the Juaneno Trail will dead end into the San Juan Creek Trail. Hike to the left along the San Juan Creek Trail. Double check your position using the free park map as you hit trail junctions. 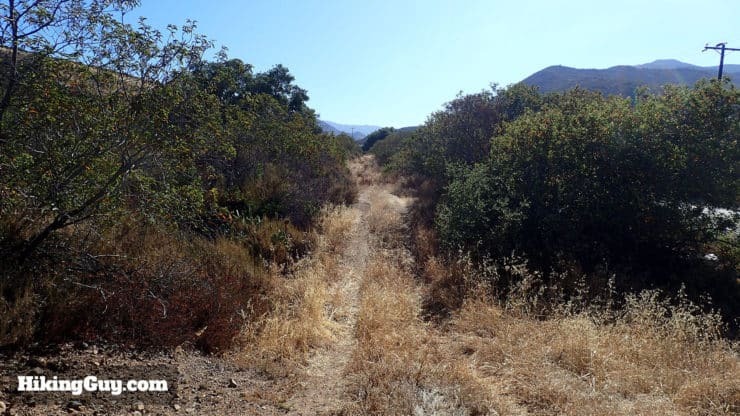 The San Juan Creek Trail is more like a dirt road. It also follows Route 74, so expect some traffic noise. 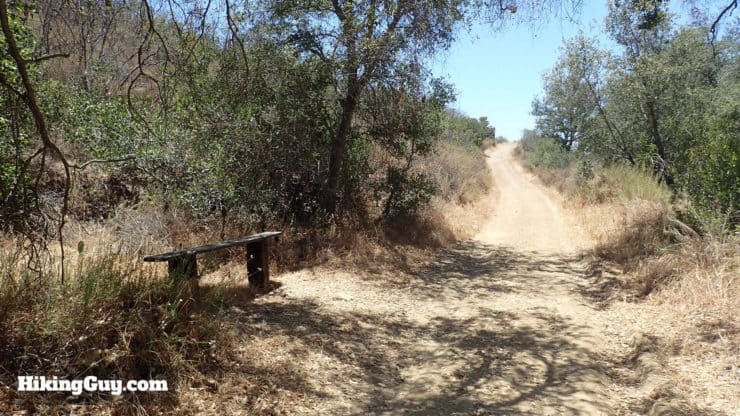 Continue straight on the San Juan Creek Trail as the Badger Pass trail intersects to the left. Keep straight on the San Juan Creek trail avoiding any trails to the left. The trail becomes primitive but easy to follow. 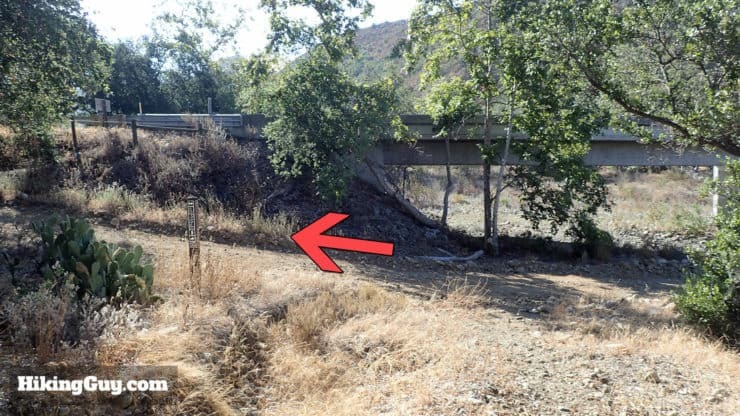 Some other blog posts talk about this stretch being impassable, but it was clear for me. 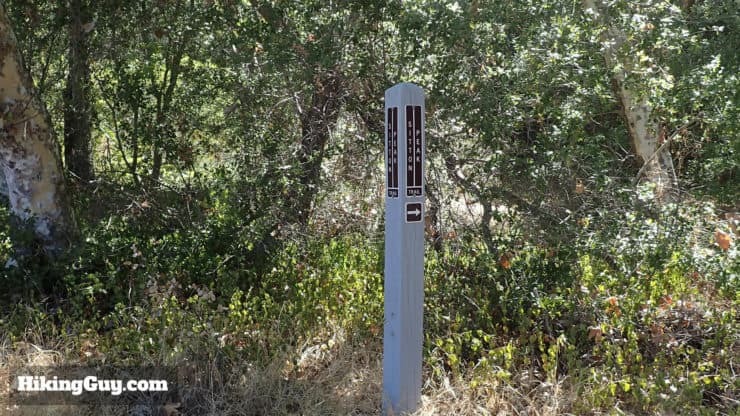 A San Juan Creek trail marker alerts you to a hard left turn. Head up the hill. At the top of the hill, another marker points you right, continuing along the San Juan Creek trail. 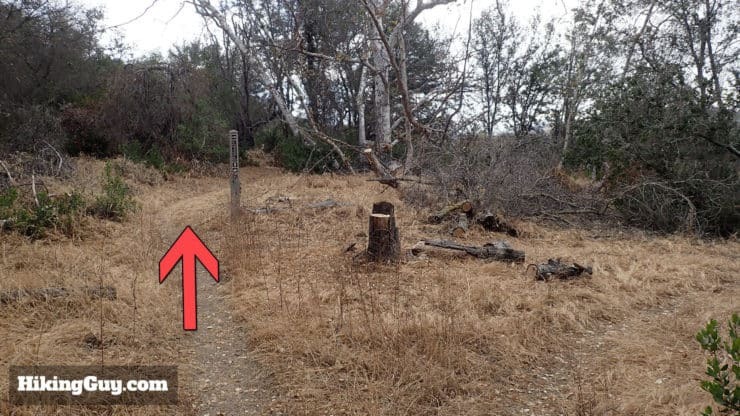 Here’s a closeup of the San Juan Creek trail marker at the top of the hill. 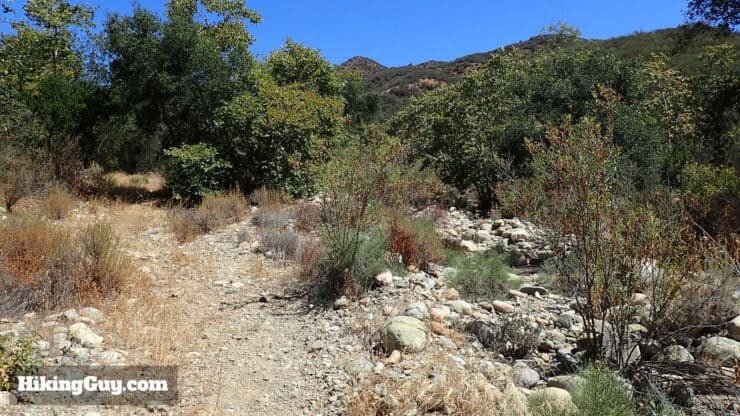 The San Juan Creek trail gets narrow and follows above the valley floor. 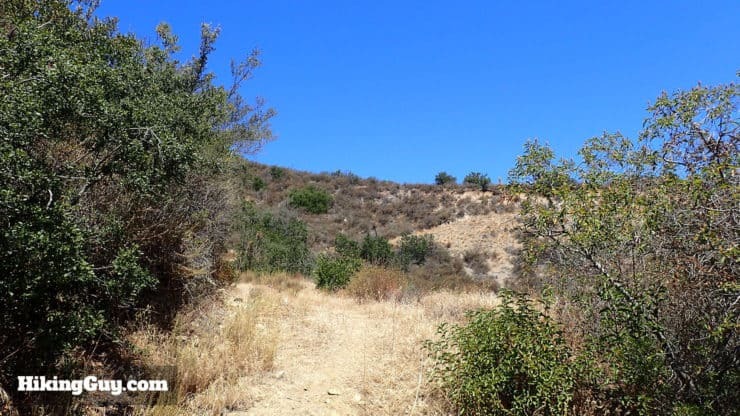 After the ridge, the trail goes through a lush section by a small stream. 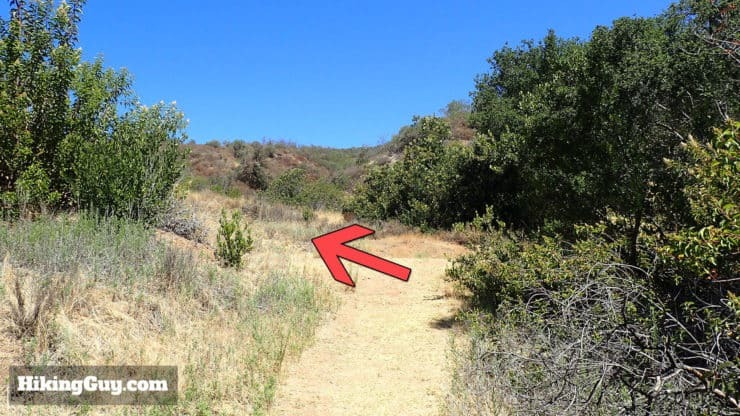 The trail is harder to follow here so keep your eyes open. 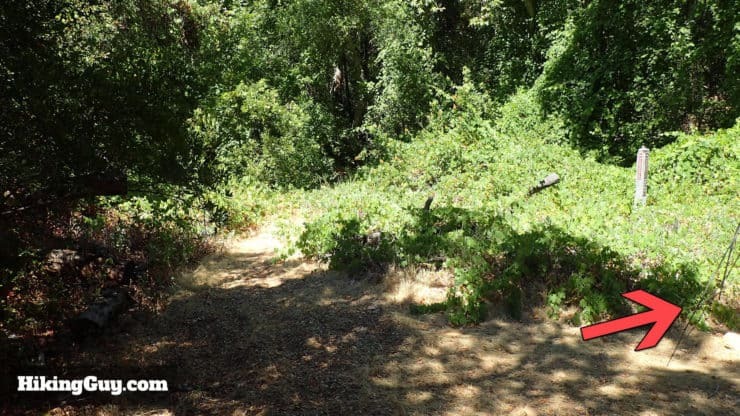 Eventually the trail emerges in a clearing. Stay right on the Hot Springs Trail. 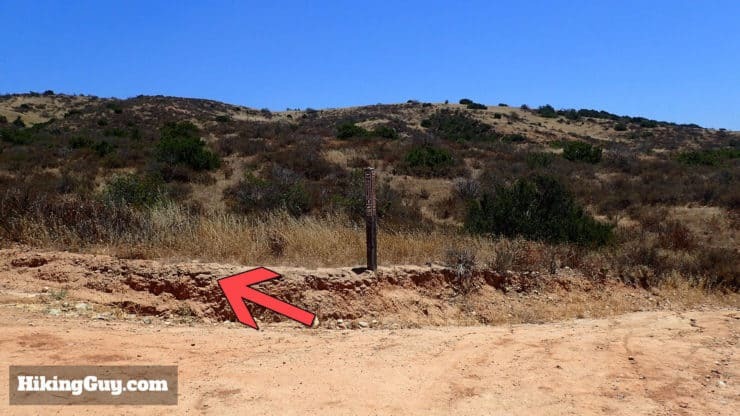 Here’s a closeup of the trail marker at the last intersection. It’s set back in brush and easy to miss. 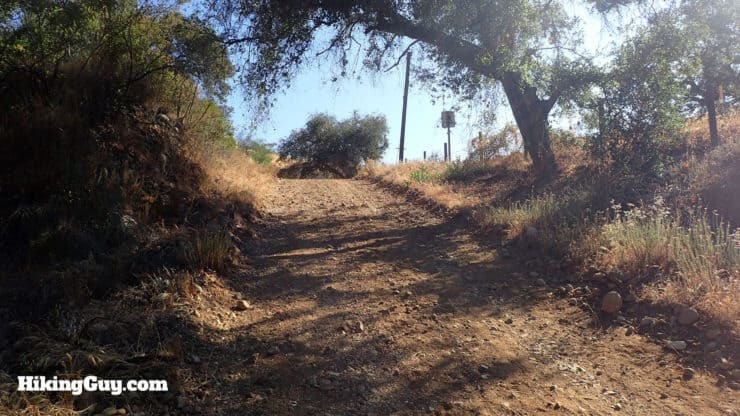 The Hot Springs Trail turns into a dirt road and climbs a steep little hill. Okay, this part is easy to miss. 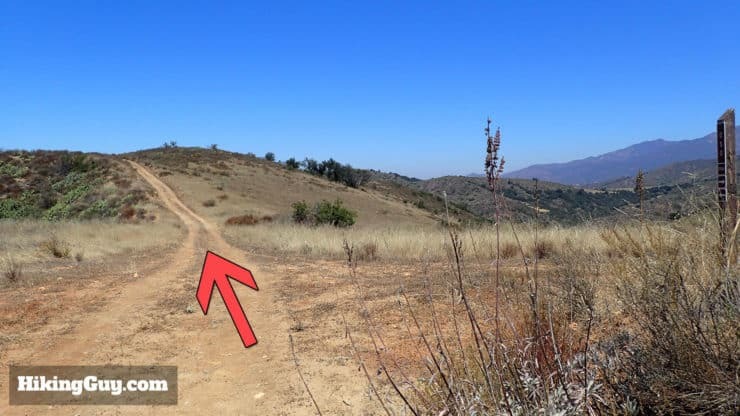 As soon as you descend from the last hill, keep your eyes open for a small trail to the right. There are a few palm trees that mark the hot springs. After the turn go straight towards them. Here you are, the San Juan Hot Springs! They were smaller than I imagined them, but still cool. Walk around and explore. There are four pools, only one of which is supposed to be cool enough to go in. Again, you’re not allowed to go in the water. OC Parks has video cameras monitoring the pools. The water is crystal clear with gas bubbling up. It’s easy to imagine how this water filled pools in the resort below. Keep your eyes open for pipes heading down to the resort area. If you want to explore more, head down the hill on the paths by the pools for more ruins. Respect the areas marked no trespassing. After you’re finished exploring the San Juan Hot Springs, simply head back the way you came. If you want to mix it up, I have two optional extensions below. 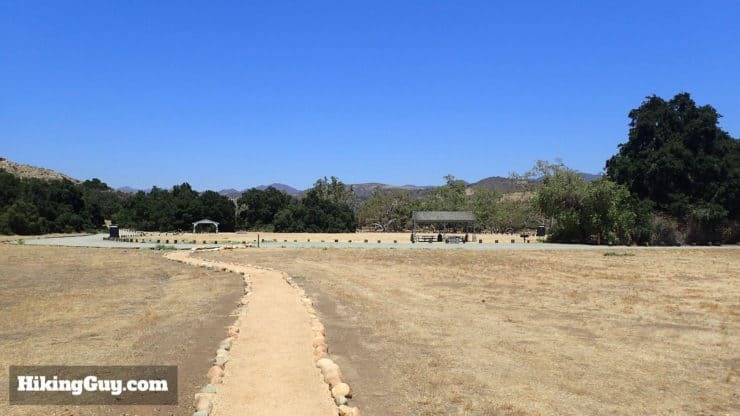 One continues on to the old San Juan Capistrano Hot Springs rest area, which is pretty unremarkable but has a cool sign that is great for photo ops. The other extension returns up along the ridge line, offering great views, but a bit of climbing. Or just go back the way you came. 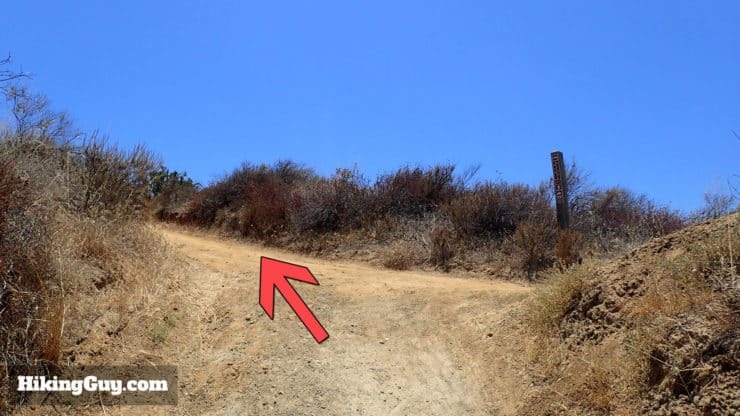 Instead of making the left back the way you came on the Hot Springs Trail, make the right and continue down the hill. 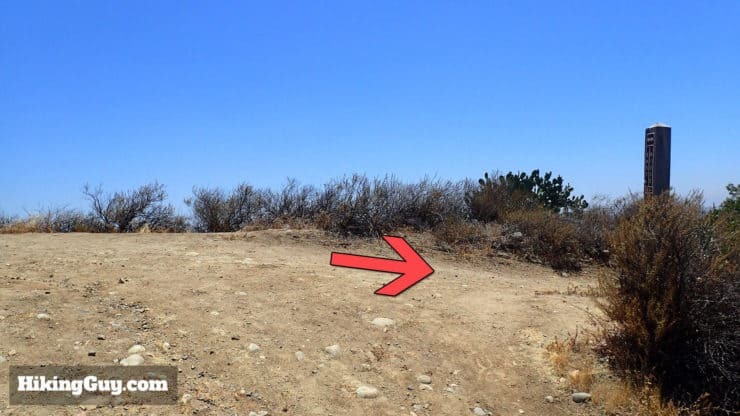 You will come to the intersection of the Sitton Peak trail. Stay to the left. 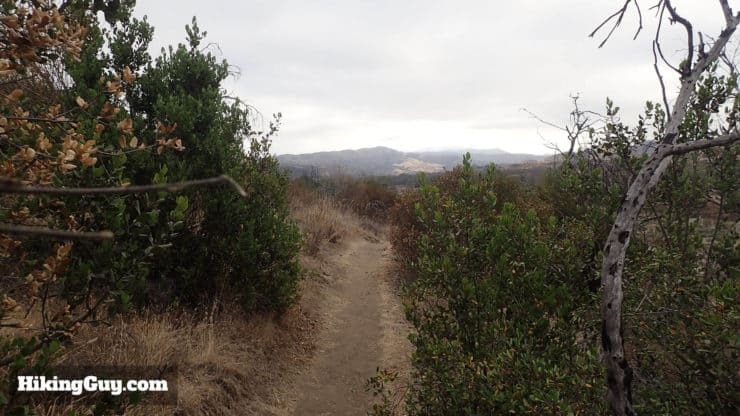 If you want to hike to Sitton Peak, it’s a good one. 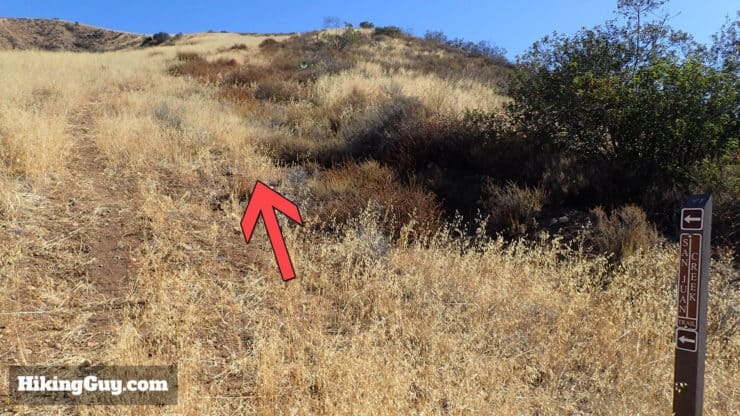 I have full hike directions for Sitton Peak on the site here. 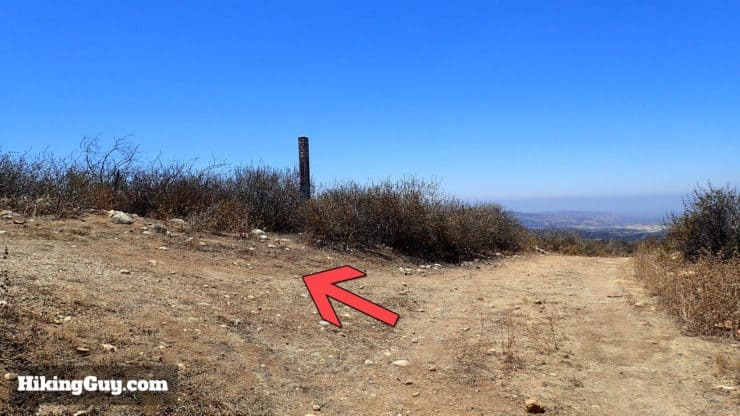 Here’s a closeup of that last trail marker for Sitton Peak. 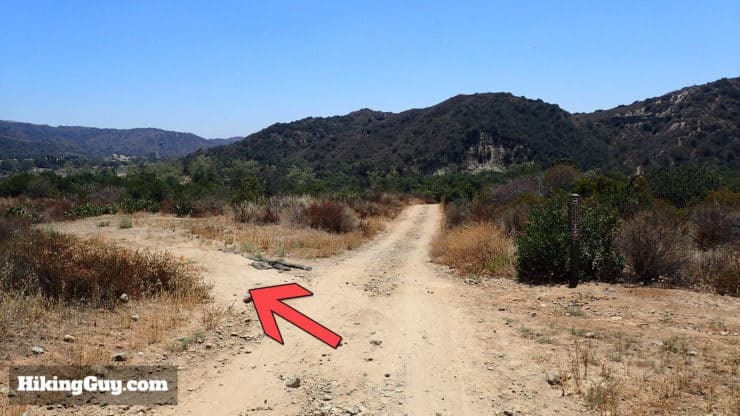 If you missed the turnoff to the hot springs and see this trail marker, you’ve gone too far. 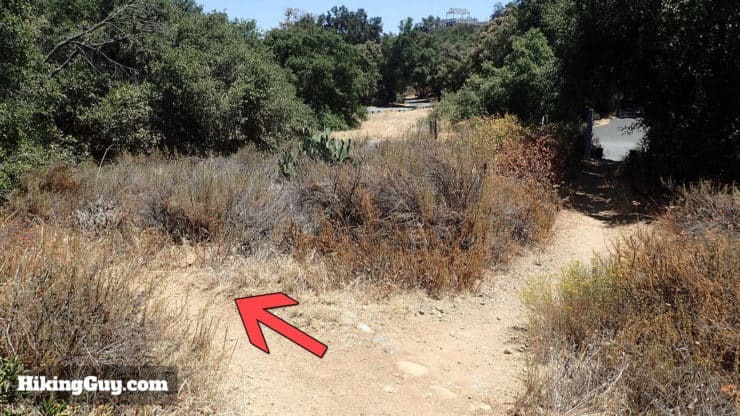 The trail opens up to the old San Juan Springs rest area. 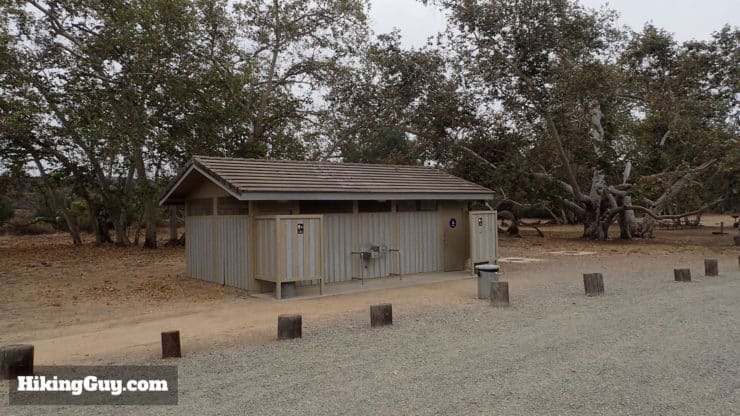 There are picnic benches and some old porta-potties. The sign is what everyone wants a photo with. Grab your shot and head back the way you came. 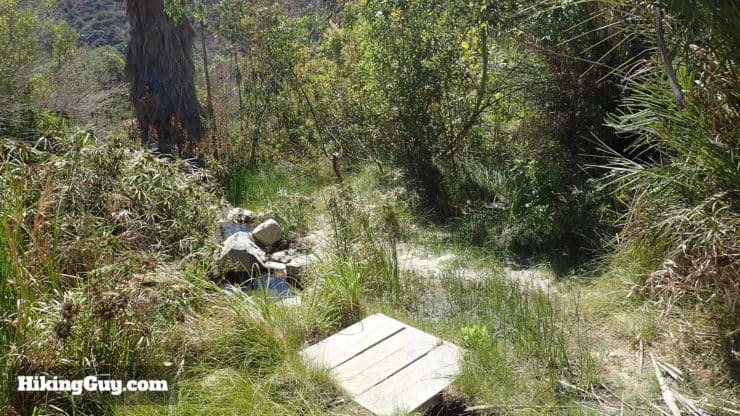 Again, after visiting the hot springs, you can simply retrace your steps and go back the way you came. 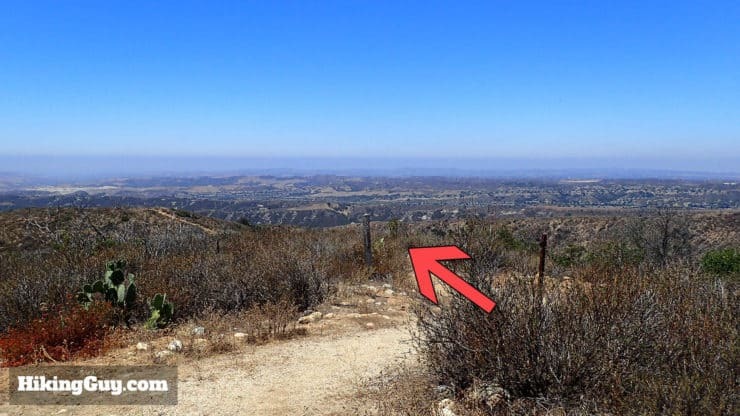 If you have the energy, I recommend doing this detour that adds about 3 miles and 1,200 feet of climbing onto the hike, but offers some incredible views. Pick these directions up from the end of the Hot Springs hike directions. 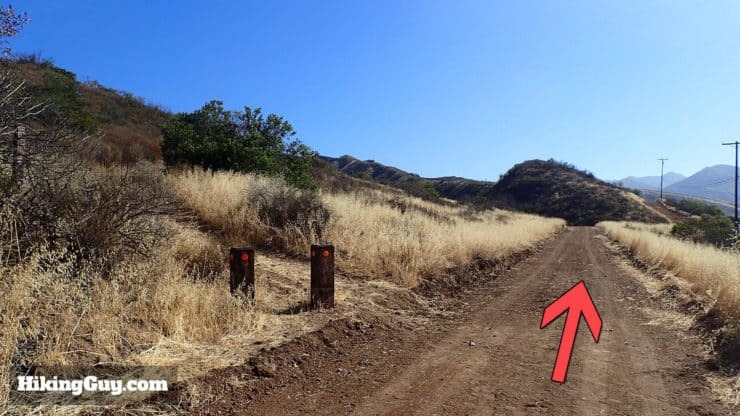 When you get back to the Cold Springs Trail and Hot Springs Trail intersection, make the right onto Cold Springs Trail. The trail climbs along the stream. 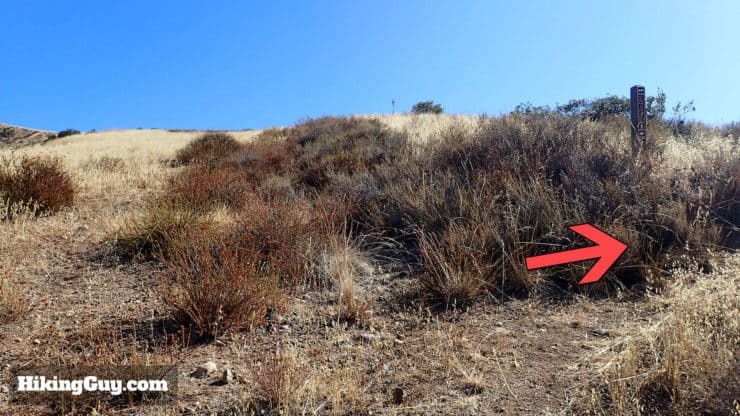 Keep your eyes open for the wildlife cameras. They’re motion activated and have IR night vision. The hike gets tougher as it climbs to the ridge line. Eventually the Cold Springs Trail dead ends at the Oso Trail. 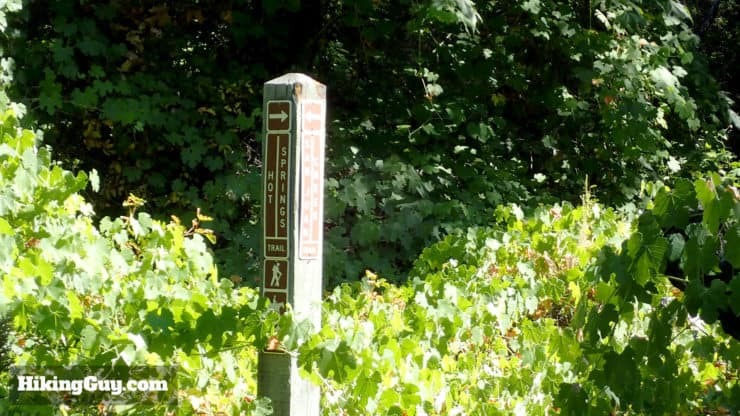 Make the right on the Oso Trail. This will seem counterintuitive, but go ahead and do it anyway. 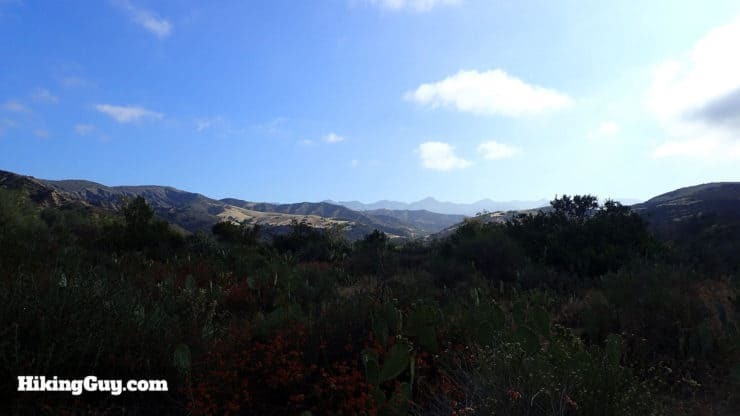 The views of Saddleback Mountain and Cleveland National Forest are great from this part of the Oso Trail. 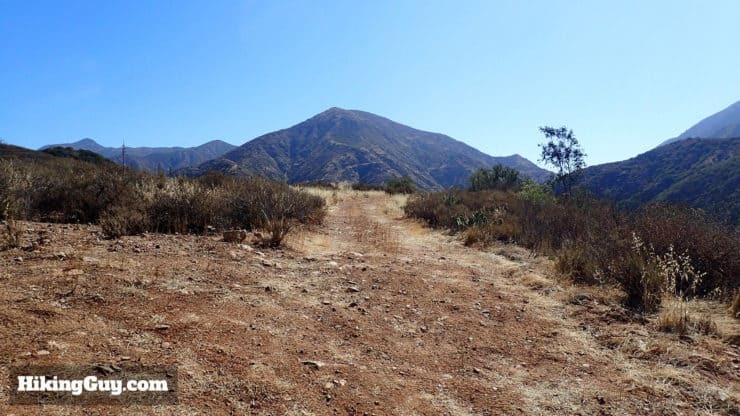 The Oso Trail follows the arcing ridge line, offering great views the entire way. 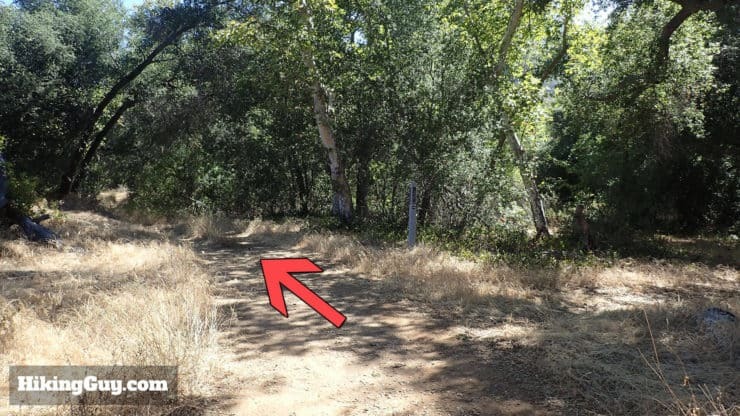 Stay on the Oso Trail, ignoring the spur to the right. The Oso Trail gently descends down the ridge. 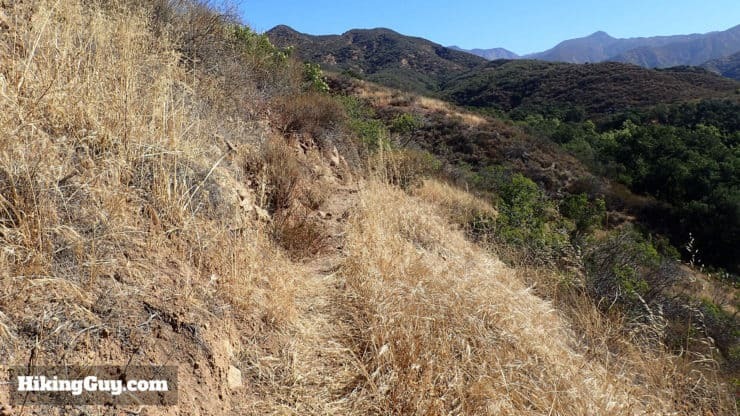 The Oso Trail is well defined here, nothing tricky thanks to the OC Parks folks. At the intersection with Badger Pass, make the quick left to stop at the picnic bench. 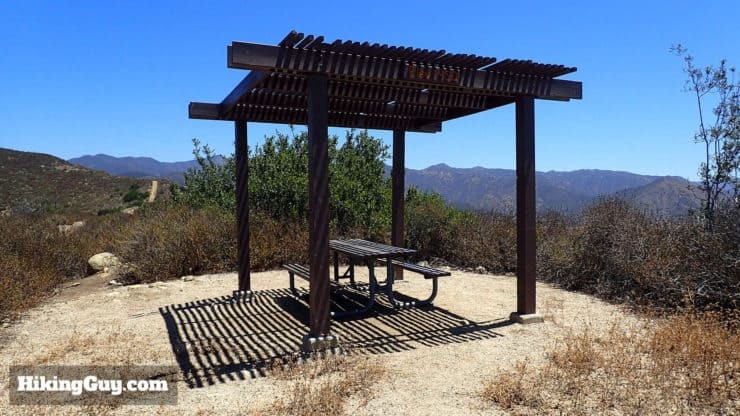 Take a break at this trail junction and enjoy the view. After stopping, continue back on the Oso Trail. Continue on the Oso Trail as it descends. At this big junction, head left. It’s a little confusing here because it’s the only place where the map doesn’t match the markers. 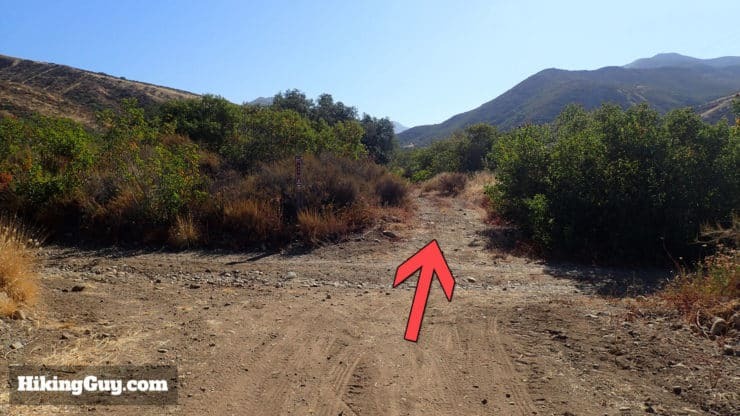 The map shows Oso Trail to the right, but the marker shows Bell Canyon. Take advantage of the shady bench if you need a break. 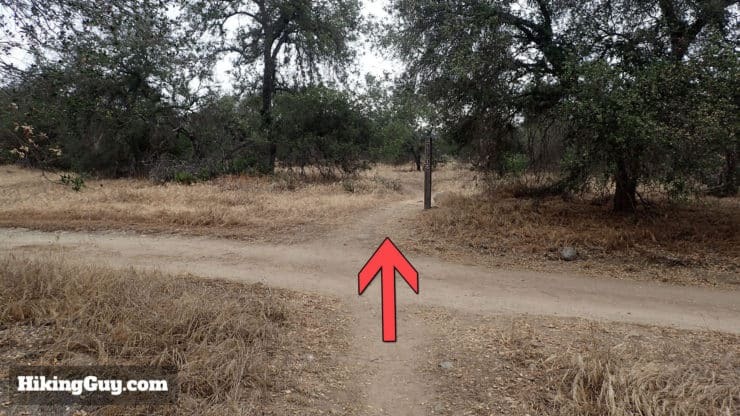 The trail comes to a junction. Head left up the steep climb (last one!) on the East Ridge Trail. 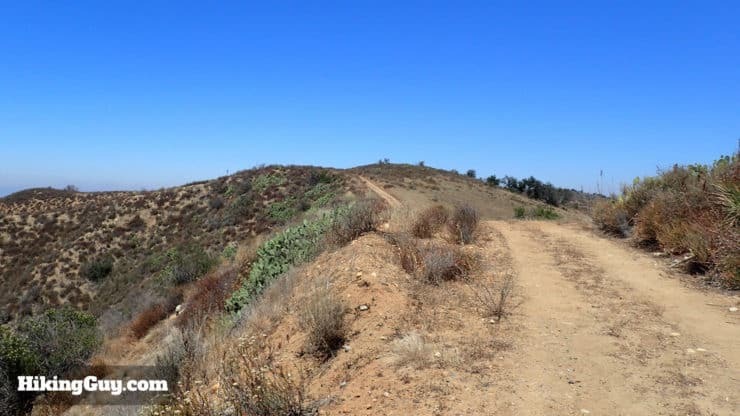 At the top of the climb, make the hard right to continue on the East Ridge Trail. 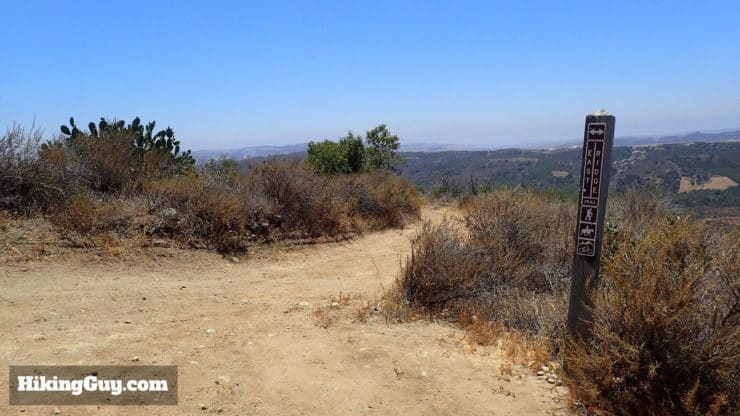 The East Ridge Trail is marked and offers great views to the right and left. Stay left on the East Ridge Trail, passing the Sun Rise Trail. This is the last stretch, so enjoy the views. You earned it on the climb. 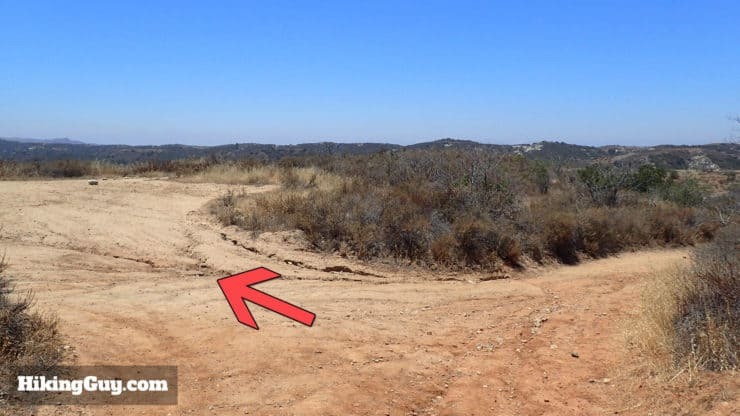 Stay straight on the East Ridge Trail as it passes Quail Run. Go straight through the water tank area. Make the left on the East Flats Trail. There’s a marker for the East Flats Trail if you’re in doubt. Descend on the smaller East Flats Trail. Stay left at the spur to the road. And you’re back at San Juan Meadows! Pat yourself on the back, that was a long hike!